up-and-coming haven for all things beauty. At Courtney Akai Lash Boutique, clients come first, needs and desires are always met, and the end result is entirely fabulous, every time. Staffed with crafted, distinguished experts, Courtney Akai Lash Boutique is a growing mecca for talent. Courtney Akai was most recently featured on the today show, click here to watch! Andra is an expert eyelash stylist with many years of experience and a diverse background which includes work with well known celebrities, extensive training and certifications. Andra first entered the industry as a professional makeup artist in media makeup, and that was when she realized her passion for all things beauty. In 2006 she successfully completed training and obtained the most advanced eyelash extension technician certification from Xtreme Lashes in New York. It was during this time that Andra found her niche and love for the art of eyelash extensions. But she didn’t stop there; in the following years she took her expertise across the ocean and went on to become a trainer with a prestigious company in Europe, traveling across the old continent training women in the industry, enabling them to become successful and certified eyelash technicians. After perfecting her skills in Europe, Andra returned to NYC and teamed up with Courtney Akai Lash Boutique, where she can be booked on request. 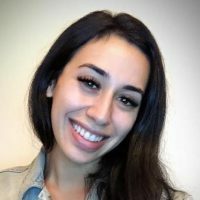 A licensed medical esthetician since 2004, Kate started her career in Boston, Ma, honing her medical training at a Cosmetic & Laser Clinic before moving on to renowned Boston spa, Grettacole, where she started her journey in eyelash extensions with a certification from Xtreme Lashes. 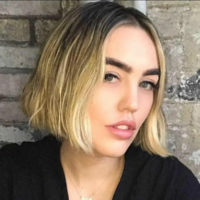 Her career in NY began 6 years ago, working for Robert DeNiro’s 5 star Shibui Spa at The Greenwich Hotel in Tribeca where she not only gained experience working with celebrity clientele, but also notoriety, being featured in Vogue, Allure, Instyle & Style.com. Kate’s love for eyelash extensions brought her to seek out lash pioneer Courtney Akai, where she is currently available for lash extension application upon request. Originally from the city Rzeszow, Poland, Weronika moved to New York City with her family in when she was 16 years old. After completing her degree at John Jay Criminal Justice she could no longer ignore her true calling to pursue a career in the beauty industry. Returning to Europe she enrolled in the prestigious Lash Star Academy in Cracow. The school, which has a location in Chicago as well, is one of the most highly regarded in Europe and produces some of the best lash stylist known in our industry. Here she obtained her excellent training in both the classic and the Russian Volume technique of applying eyelash extensions. 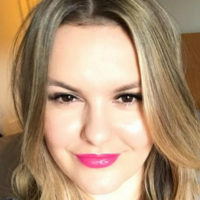 Honing her skills and educating herself further on the latest and greatest in methods and brands, in NYC Weronika cultivated the career of her dreams – helping to transform, educate, and all-round *beautify* women, who deserve to look and feel their very best. 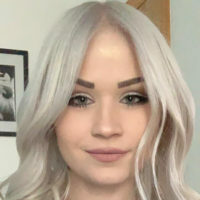 Weronika is always in search of the most innovative products and methodologies, which is why she prides herself in offering her clients the best. She is available for appointments at our salon. After attending school in Chicago for painting and drawing, and traveling to Los Angeles to take a course in beauty makeup artistry, Marley took her Xtreme Lash Certification class in January 2010. The precision and craft came very naturally to Marley, and she spent the next few years perfecting her technique before making a big move to NYC. Once there, she established herself by lashing amazing women and celebrities, and continued her education in March 2016 by taking the PhiBrows Microblading course, and later their Microblading Perfection course. She can be booked at out NYC location upon request. Alee first started her career in the beauty industry in California upon receiving her cosmetology license from Bellus Academy Cosmetology Academy in 2013. She then relocated to New York City and became part of the Courtney Akai family in 2016. After finding her true love for the craft and all things eyelash extensions, she started her new journey as a lash stylist in early 2018. Alexandra was trained by and apprenticed with the talented Andra Ciulei, Master Stylist of Courtney Akai Lash boutique, and she continues to offer her beauty services as an up and coming lash stylist. Founder of our lash boutique, lash expert, our mentor and friend, her lash legacy dates back to 2004. Courtney’s lash love began when she was a passionate teenager in cosmetology school, where she discovered she had an eye for aesthetics and a natural talent for application. Always on the cutting edge of beauty trends, Courtney entered the lash extension arena earning her advanced certification in lash extensions. 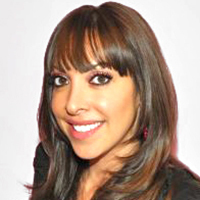 One of the few early lash technicians practicing the craft in New York City, in 2006 she co-founded and opened Uptown Girl, a Manhattan salon specializing in lash extensions before creating the Courtney Akai Lash Boutique in 2009. 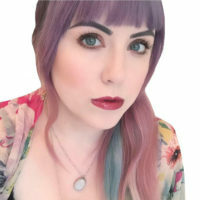 Her artistry and dedication to the craft has been consistently featured in top publications, such as The New York Times, Allure, ELLE, Cosmopolitan, Marie Claire, Elle.com, People Style Watch, Self, InStyle, The Huffington Post, The New York Post, OK Magazine, Lucky, New York Magazine’s Wedding Issue, Salon News and Launch Pad. Akai was featured on The Learning Channel’s “10 Years Younger” as a premier lash extension specialist and was named New York magazine’s Best of the Best two years in a row. Courtney is not currently taking lash appointments.